We produce a lot of waste. Every year Americans generate nearly 260 million tons of solid waste. That’s in addition to the 534 million tons of construction and demolition waste generated annually and the 300 million tires discarded every year. 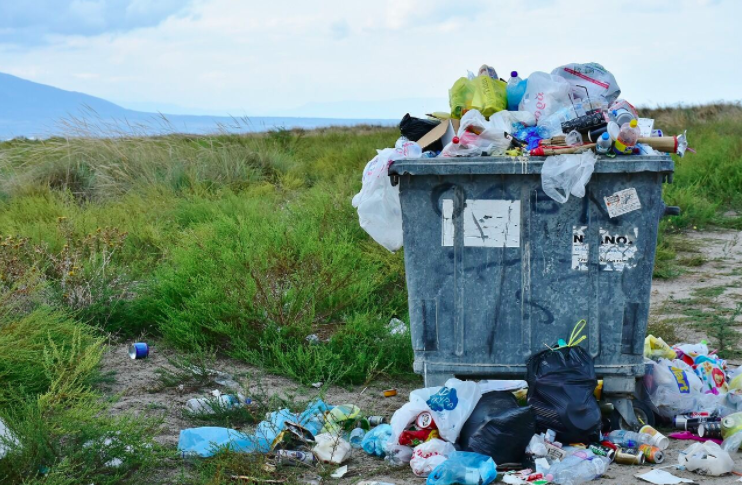 As part of their sustainability strategies many governments and companies are adopting zero-waste-to-landfill goals, which involves both reducing the amount of waste produced and creating a closed loop system by recycling the remaining waste into other applications. Add to that the shrinking capacity of US landfills and there is a clear impetus for recycling. There are, however, still several barriers to creating a closed loop system with our waste materials. The recycling process can affect the physical and chemical properties of the materials being recycled. Additionally, contaminants in the recycling stream can negatively impact recycling processing methods. This complicates the use of recycled materials and can discourage manufacturers from including recycled content in their products. The volatile cost of raw materials can amplify or diminish this problem. For example, the past few years saw low oil prices, meaning lower costs for virgin polymers – a problem from which the plastics recycling industry is still trying to recover. Conversely, the unpredictability of raw material prices can also drive up the cost of virgin materials in comparison to recycled. For example, several force majeure incidents in Texas, such as Hurricane Harvey, have made the price of oil-based raw materials – including butadiene, a monomer used in the production of synthetic rubber – very volatile. Regulation is also a large barrier to reusing materials in new applications. While there are many innovative solutions for using waste materials, government regulations and standards for materials used in constructing buildings and infrastructure can make it difficult to bring them to market. For example, transportation agencies often limit the pavement applications that can use rubber modified asphalt (RMA). There are many reasons for this, including available financing and the traditionally risk averse attitude of government institutions. At the same time, the small companies at the forefront of developing these material innovations also face barriers. Lack of capital to drive scale and meet standards qualifications as well as trying to convince conservative businesses and governments to adopt their materials and processes makes it very difficult to break into potential markets. Reticence on the part of manufacturers to use recycled materials, either as an additive or as a replacement to virgin material, is not entirely baseless. Contamination from other materials in the recycling stream can drive up the cost of processing the materials and negatively impacts the quality of the materials on the marketplace. On the other hand, creating hybrid mixtures with recycled materials can even improve the performance of the finished product. Researchers at MIT are experimenting with irradiated recycled PET bottles as a filler in concrete. Preliminary results show that the hybrid mixture is up to 15 percent stronger than conventional concrete. Similarly, micronized rubber powder (MRP) used in RMA has shown improved durability and increased crack resistance in asphalt, requiring less costly and time-consuming road maintenance. Studies have also shown that RMA can boost traction and reduce the risk of skidding, as well as reduce traffic noise. 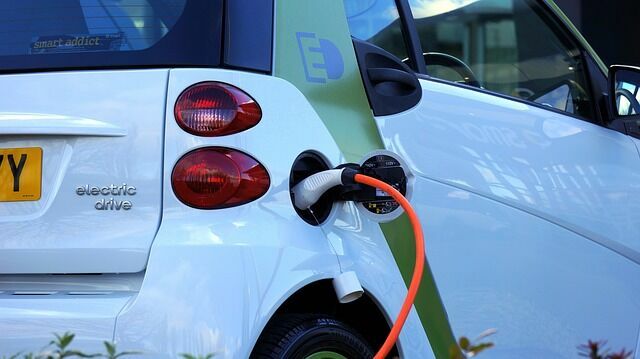 Continuing to fund the research and development of materials is vital in improving and increasing upon the applications that can use waste materials. Ultimately, any issues that businesses or governments face in using or allowing the use of recycled materials as an alternative to virgin materials is trumped by the impact it makes on reducing the amount of waste sent to landfills. 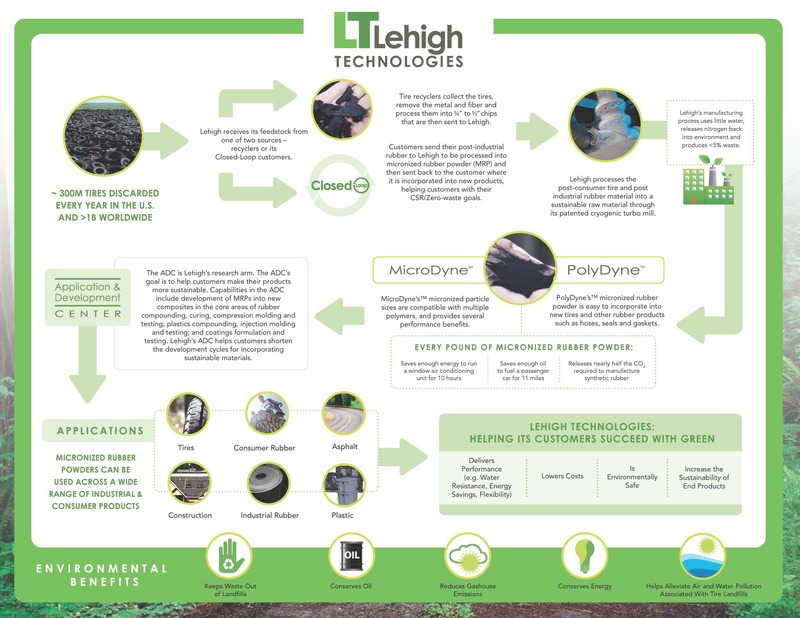 To date Lehigh Technologies has diverted 500 million tires from landfills by turning them into MRP to be used in the production of new tires, asphalt, and other applications. The impact can also be felt on the bottom line: MRP’s cost per unit is up to 50 percent lower than oil-based materials, like butadiene. Closing the loop on our waste means being open to the kinds of innovations and ideas that will help us incorporate waste materials into creating new ones, helping to reduce environmental impact and costs. It does not just make environmental sense, it is also just good business.